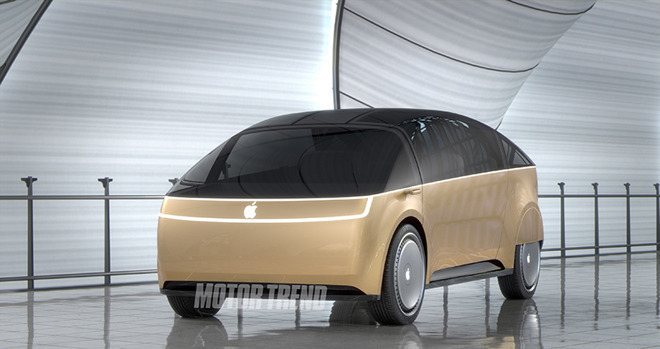 The win could even mean that Apple is ready to test a vehicle on public roads, Business Insider noted. Companies can't perform such tests in California without an Autonomous Vehicle Testing Permit. Apple met with the state's DMV as far back as 2015, but despite this, testing ended up continuing in private. The most public the project has ever been is in Nov. 2016, when Apple submitted a letter to the National Highway Traffic Safety Administration, expressing interest in the autonomous field. The company was at one point thought to be designing a top-to-bottom vehicle, but a number of obstacles led to the company reining in the project and switching to the more narrow focus of a self-driving platform. The company is expected to decide later this year whether to resume building a full-fledged car or partner with an existing automaker. Indeed anything Apple puts on the roads is still likely be an existing car modified to test sensing and AI technology. Even if the company was far enough along with a custom design, driving it in public would ruin any surprise and hand ideas to competitors. Away from prying eyes, Apple has allegedly been using virtual reality to test an augmented reality system. Facilities in countries as distant as Switzerland may be doing other work, though the major nexus of Apple's efforts is thought to be back in Sunnyvale, Calif. Early rumors suggested that Apple might have a finished car ready as soon as 2019. A more realistic date at this point is at least 2021, if not later depending on the impact of delays and whether or not Apple partners with an outside automaker. Chinese ridehailing service Didi Chuxing —in which Apple invested $1 billion last year —recently set up a self-driving car lab near Apple's Cupertino headquarters, which could point towards a collaboration. Update: Apple's permit covers three Lexus RX450h SUVs, and six drivers serving as backup.